6. Adam GIBSON (Australia). Australia vs Germany. 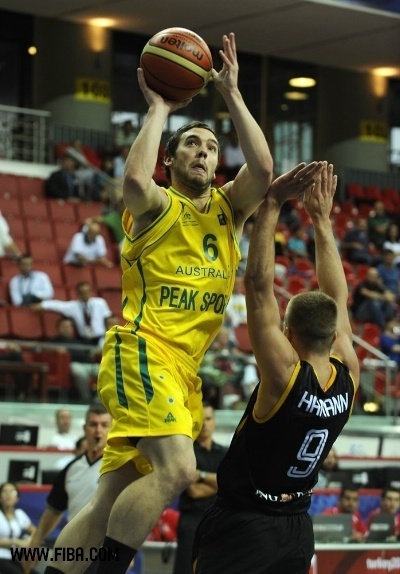 Tag 3 of the 2010 FIBA World Championship in Kayseri, Turkey. 30 August 2010. Preliminary round MEDIA. Wallpaper and background images in the basketball club tagged: basketball fiba 2010 turkey. This basketball photo might contain basketball, basketball-spieler, basketeer, cager, basketballspieler, and dribbler.